ConservativeHome's ToryDiary: "The coming realignment of British politics"
"The coming realignment of British politics"
Earlier this week Ed Vaizey MP wrote two much-blogged-upon posts for The Guardian's Comment is Free. The first appeared to warm towards the idea of a LibDem-Conservative coalition and the second appeared to cool on the idea. Peter Franklin (an occasional ConservativeHome Platformer) has reignited the debate on Comment is Free. Peter thinks the electoral logic is "obvious". But what, he asks, of the ideological logic: "Other than environmentalism, what can the two parties unite around?" "The Lib Dems are already signed up and the Conservatives are rapidly signing up. This shared agenda also allows the two parties to fudge their remaining differences on domestic policy by letting communities make their own decisions at a local level. Best of all, localism provides a common point of divergence from Labour's centralising tendencies (soon to be reinforced under Gordon Brown)." Earlier today the LibDems revealed that "David Cameron and Sir Menzies Campbell are to meet in response to the Liberal Democrats’ challenge to the Tory leader for a “minimum test of commitment on ways of tackling global warming." The LibDems aren't going into the talks in a concilatory frame of mind, however. 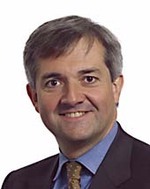 Chris Huhne, LibDem environment spokesman, declared: “There have been a string of contradictions between David Cameron’s green words and his party’s blue actions. As well as supporting road-building in his first speech as leader, Mr Cameron has also failed to stop his MPs and Peers voting against key pieces of environmental legislation in both Houses." Perhaps Mr H's tough rhetoric is more about reminding LibDem members that he, not the increasingly embattled Sir M, should have been their choice to succeed Charlie Kennedy. Sir Ming is on BBC1's Question Time tonight. It promises to be quite special. Also on the panel are Lord Heseltine, Hazel Blears and Piers Morgan. Iain Dale has promised to live blog it. Some of us would leave the Party if it comes to a Lib-Con coalition. How can crime/immigration/Europe/welfare reform all be decided 'locally'?! None of which I think I have views anywhere close to the Lib Dems. Further, the Lib Dem version of localism involves local authorities sticking their interfering noses in everywhere, rather than empowering voters and individual/schools hospitals. On a final point, localism of funding for most services would be the most regressive step for decades. Schools in richer areas would become instantly better funded than poorer ones, as well as poorer areas having to deal with inept Labour/Lib Dem controlled councils. Indeed, some of us might even contemplate voting Labour to remove such a disasterous coalition and get back to real Tory Government. Isn't localism just another word for decentralisation. The problems is that every Labour and Conservative government since the 1930's has been increasingly transferring power from Local Government to Central Government, quite frankly either main party is going to have a major problem convincing anybody that they genuinely are going to transfer power back from Central to Local Government because the rhetoric has been used so many times before. Chris Huhne's Punch & Judy remarks are already causing problems for the Ming-Dave green summit. This issue is ridiculous. For all intents and purposes the LibDems are to the left of New Labour. Why don't we focus on winning a parliamentary majority instead of this type of nonsense. I could have nothing to do with a party that gave the lib dems (and sarah teather) political office. The people don't want them either. "This issue is ridiculous. For all intents and purposes the LibDems are to the left of New Labour." Indeed. I would rather see us in a coalition with New Labour than with the Lib Dems. The Lib Dems grass roots are notoriously left-wing and they would never agree with us on crime, immigration and tax reduction let alone the EU. Localism assumes that local councils are more democratic and accountable than the national government. In some cases that may be so but local authorities often ignore local opinion especially when it comes to planning decisions. We should be the party of small local government as well as small central government. It's a shame Chris Huhne has felt the need to play politics over this issue (although there is some truth in what he says), but I guess it's a sign that the LDs feel threatened by David Cameron parking the Conservative tanks (or should that be bicycles?) on their lawn. Could Huhnes comments also be a bit about showing Ming that he isnt going to have it all his own way? "Could Huhnes comments also be a bit about showing Ming that he isnt going to have it all his own way?" A shot across the bows? I hope so! As I said during all the LD leadership shenanigans that started before Christmas and lasted well into the New Year, it's nice to watch another party tearing itself apart for a change. I quite agree with other posters views about the LD's I wouldn't want to link up with them at all. LD's and Tory's are like chalk and cheese and it would be a very foolish conservative leader who would think it would be an advantage to join up with the LD's. As far as 'noseyness' goes I have just posted on another thread (which I have forgotten the title of!! ), that we already have curtesy of this government, interference by government at all levels even down to parish level, to insure that people 'tow the line', at least as far as they dare go at the moment! And I am sure that is NOT the type of 'local government' or rather local involvement in government (only two more words, but what a different concept! ), that the new Tories were talking about last year?! Again something I said the other day, not so very long ago LD's were extremely hot on unlimited immigration, and cried racism etc: if anyone tried to be even pragmatic on the subject. Well now of course they have had to backtrack discreetly to roughly agree with the government - faced with the obvious current fiasco! No please don't think of joining hands with the LimpDems! Ming Campbell - an empty vase. The problem with the LibDems is that they are such a mixed bag that it is impossible to sensibly pass judgment on them. Some of them are old-fashioned SDP soft-lefties like Simon Hughes who would be to the left of the current Government, let alone a Conservative administration. On the other hand, we could easily worth with the "Orange Book" faction of David Laws, Nick Clegg, Vince Cable. The question is how to tackle these latter group (Simon Hughes et al. are clearly beyond the Pale). The problem of a formal Lib-Con coalition is that we would have to endure a bunch of soft-left-wingers. The best way would surely be to keep kicking the Lib Dems in public whilst privately making overtures to these people in the hope of a defection. This would shore up a lot of the swing vote whilst consigning the rump LibDems (back) into the dustbin of history. I don't think I've ever agreed with one of Goldie's posts but he's dead right on this one. The LimpDums are a left wing party. A few of their MPs have expressed a desire to move their party towards Liberalism - they've done this as the party has spent time trying to be taken as an alternative to the tories. They aren't; they're a coalition of the confused and the even more confused. We can destroy the LD presence in the South and South West by being positive about ourselves and our vision for the country, not by pretending LDs are left wing tories. The LibDems are a coalition themselves lets remember. I think long term the logical course of events is that people like clegg and laws will end up in a moderate centre right tory party, the social democrat part of the lib dems will get together with left wingers from "old" labour who have had enough. That leaves you with a large tory party and three smaller parties (left wing, centre left "new" labour and whatever the right wing puts together), Cameron looking pretty strong in that situation. Dim lebs arnt even honest. In our local paper tonight, a failed councillor(beat by our man) had himself and a pal photoed by some road works that had been campaigned for by our councillor, and a good labour man. (sikh)And thats just at local level. Who would want to line up with that lot? They would s...w us soonest. Personally, I do not believe that we should form a coalition with the Lib Dems under any circumstances. It is far better to remain in opposition and allow the Lib Dems to form a coalition with a failing Labour party - some of the discontent with Labour would then rub onto the Lib Dems. Further, forming a national government with the Lib Dems would destroy the "myth" that the Lib Dems will "never rule." The Lib Dems and Conservatives are fundamentally different on policy. Though it is true that many voters who vote for both partys come from the same type of social/economic background (signified by the fact that there a many Lib Dem vs Conservative marginals,) those elected have a completely different mindset and set of ideas than those that vote for them. Rarely does a voter actually vote for the Lib Dems because they agree with their policies. Most people vote Lib Dems as a protest vote, or because they are "nice but dim" people, or some other meaningless or irrelevant reason. People talk about the Orange Book Liberal Democrats being economically similar to the Conservatives. However, socially they are quite different, and in reality, they are not that similar over economics either. The majority of Lib Dems are just Labour in other clothing. The SDP merger did have its effects. If the Orange Bookers are so "right wing" or Conservatives, then why are they in the Lib Dem party? Answer, it's because they're not really Conservative at all - which is especially obvious at a local level, which would also be impacted by a national coalition. Two opposing parties cannot easily form a coalition, and to do so would be unwise. We don't need the Lib Dems, what we do need to do is beat them. Localism also converges the PR versus FPTP voting dispute. The smaller the constituency, the nearer FPTP approaches to proportionality. That's why LDs can win council seats and local elections. In fact, environmentalism is probably less convergent. The LDs are still in the greenpeace "wreck the economy" rut. "The majority of Lib Dems are just Labour in other clothing. The SDP merger did have its effects." Ironically the breakaway Liberal Party that didn't go ahead with the merger is to the Left of the Lib Dems and even New Labour. A coalition with the LD's is an obvious option that might be atractive under certain circumstances such as a hung Parliament. An electoral pact would possibly be advantageous to both parties as well. However Labour's collapse might be so total by the time of the next GE that we would not need either the coalition or the pact. Forming a pact with the LD's might assist oppositions to accuse us of abandoning Conservative porinciples. There must be downsides as well as upside potential. Another circumstance which might spur a coalition with the LD's would be if the BNP sustain their growth over two more years and become a major Party in GE's. I think too many ideas like this are talked of as plans when they should only be considered as options, until events dictate one course of action or another. It is wise to keep the door open to the LD's if a coalition or a pact were to become desirable to both parties. Ming on QT - "through the Senate and through the Congress". The former is the upper house of the latter! To be fair though he hasn't performed too badly. Prescott got off lightly. Nobody highlighted that he is incapable of operating a light switch, let alone a government department. "I think long term the logical course of events is that people like clegg and laws will end up in a moderate centre right tory party, the social democrat part of the lib dems will get together with left wingers from "old" labour who have had enough." That is a possibility, but would require the Tories to shed the likes of Forth, Pickles, Leigh etc - ie fracture your authoritarian-social conservative / liberal coalition. I think Hazel Blears has just displayed the ubiquitous, repetitive, mendacity in her replies to various questions on Question Time. The typical trade union response, even trying to dredge back to the last Tory Government. Hazel Blears seemed to be entering into Paxman-Howard territory in her refusal to answer straight questions. As a Lib Dem, I can only observe that it is the Conservative party which is moving in the direction of the Lib Dems, not the other way around. "As a Lib Dem, I can only observe that it is the Conservative party which is moving in the direction of the Lib Dems, not the other way around." What direction might that be then? As Ming says, David Cameron hasn't actually made any policy commitments, so how could he be moving in a direction. You can't have it both ways... oh no, wait, you're Lib Dems - having it both ways is your speciality. We should not offer the very few talented Lib Dem MPs any prospect of government positions from within that party. To gain power they have to denounce Lib Dems as a hopeless (hapless) cause. We have to recognize the BNP results for what they are: a very localised protest vote. Our response should be to look at wards where BNP won council seats and identify the true local problem, not the scapegoat. The BNP and UKIP are not a threat and they’re certainly not our teachers. Left to their own devices their new councilors will dig their party's own grave. "The Liberal Democrats are very much in favour of the cross-party agreement on climate change. People want parties to work together on solutions to the pre-eminent challenge of our time," said Mr Huhne." I'd have thought most people were sick of the three major parties agreeing. Who will represent alternative viewpoints? "We believe that the cross-party agreement can, in principle, make it easier for parties to propose difficult measures that could otherwise fall apart in the face of vocal but minority opposition." If this opposition is minority opposition then why would these proposals fall apart? Perhaps because such opposition may in fact be majority opposition if the proposals are harmful to peoples' wallets. I am always suspicious of cross party-consensus's except on fundamental issues such as freedom of speech. It means that majority or significant minority opinion on certain issues is not represented by the three major parties. I think we have plenty in common and am delighted that this issue has been brought to the agenda. Those preoccupied with ideology would have a lot more to worry about than cooperation with the Libs (even the most ardent Cameron supporters - Jack Stone, DVA, Gareth etc couldn't deny there has already been some compromise on the ideological front under Cameron) . Britain at this time is probably not ready for the Conservatism many of us believe in - it might be ready in a decade or so, but meanwhile we'd do best to make the case by distancing ourselves from stateism, with our good friends the Liberal Democrats on board. Many of the LD's are worthy MP's and good people, who's talent would be useful in a shadow cabinet. If we want to keep open the chance of working with the Lib Dems, Civil Liberties might be another relevant issue. Why we would want to work with them? Well thats another matter entirely. This is my point. You are arguing about the future by presenting a plausible theory as a certainty. UKIP blew the chance which Kilroy Silk gave them, it is true. The BNP on the other hand might not comply with the same formula. Nationally 17% are thinking of voting for them. They could implode as you say, buit what happens if they don't? If people remember that the future is by definition uncertain,and prepare ways to deal with situations that may arise, they will do better than if they gamble on one future theory and put all their eggs into one basket. It is a good argument for leaving the EU that if our current method of government is starting to fracture our society, the cost of being in the EU is getting too high. My argument is based on events that are already happening, not a possible theory about the future. Allying with the Lib Dems is not going to solve the BNP crisis. It will probably exacerbate it. All the big parties being in agreement is a large part of the voters' concerns. Where is their any opposition? Other than the problem of how to win an election, what is the problem that allying with the Lib Dems is going to solve? making life even easier for politicians? I see more alienation being the result. David Cameron is not a conviction politician and he will adopt any policy he thinks will help will an election and will drop any policy that he thinks could reduce his chance of winning. He'll move as close to the LibDems as he feels he needs to, whether on Europe or any issue to increase the odds of victory. Party members will just have to get used to moves like this. He wants to be PM, and will do or say anything however superficial to keep up the headlines he needs to achieve that. Once you accept that, and accept that the Tory Party is not in its current incarnation a conservative party, then it makes sense. You can't have it both ways. The Tory Party is not a good home for small c conservatives right now, but if Cameron's gamble pays off then the Tory Party will for some part in a future government. For us small c conservatives, we can't know whether the CamCon project will blow up before the election or once it is in office, but we'll keep fighting for our values and highlighting areas where we disagree. Get used to it! I'm sure there will be a lot more to come. ..I should add that I do think it is a very effective strategy even though I don't support it. Cameron may be copying Blair, and everyone may know it, but even with age, this second-hand Blair strategy Mark II is still potent and hard to beat; saying the all nice, popular things, looking fresh etc against a tired government. I don't think it makes for good government though, but that is a minor concern, far below election victory itself for many. "It is far better to remain in opposition and allow the Lib Dems to form a coalition with a failing Labour party - some of the discontent with Labour would then rub onto the Lib Dems." If only it were that simple - the evidence from up here in Scotland is that a Lib/Lab coalition legitimises the Lib Dems while still allowing them to claim that they are the brakes on an incompetent Labour administration, one which would be far worse if it wasn't for the LibDems. By and large, I think people accept this arguement. The only fun part of it is watching Labour's slowly rising anger as they realise what a bunch of slippery and untrustworthy operators it has chosen to get into bed with! Forming coalitions is a bit like going to war or getting married. You start when you like. You get out of it when you can. In the meantime you are more out of control of events than in control. The downside is all too apparent. And the longer the coalition lasts, the more chance there would be of things going wrong. Hazard = risk X time. The only upside being talked of by Chad and others seems to be that it will help us get elected. As the election is so far away, it seems to be a brave forecaster that can sure of such a beneficial result. The assumption of the coalition relationship seems to be that the Conservatives would occupy the dominant role being the bigger Party. We might be Prince Charles as it were, but the Lib Dems might turn out to be a Princess Diana - and have their own ideas. The BNP for many Conservatives might turn into a Camilla Parker Bowles. Why doesn't Cameron run a bit more as a bachelor, play the field and only commit when he's finally fallen? Who knows? He might find new interests as life progresses. Casual relationships formed without love don't really work and they tend to leave a lot of dirty linen lying around. Nationally 17% are thinking of voting for them [the BNP]. On 29/4 ICM polled voting intention and found 3% support for the BNP. On 10/5 YouGov found that BNP support was at 6%. Marissa is absolutely right, 11 local election council seats do not redefine British politics. That would be redefining British politics but please, can we have a thread that isn't taken over by the same old dull, repetitive arguments? Lib dems are the political whores of our time and any other for that matter. Look north where they are in coalition with Labour. What’s that done for Scotland? Well other than spending £430 million on an edifice in Edinburgh and giving us an economy that lags well behind the rest of the UK –I’m struggling to think of anything other that the fact that they have kept Labour in power and a few of their number swan about in ministerial mondeos. And at what’s the price? Well we now have PR in the Scottish Parliament and we are about to have the worst form of PR in local government the-- STV a recipe for permanent coalition with sandal warers. At least I can respect socialists for having some beliefs that are fundamental to their political philosophy no matter how much I disagree with them. Lib dems will simply sell their souls to the highest bidder – just look back over the last 50 years fro examples too numerous to mention. We already have one ex SDLP councillor in our shadow cabinet, enough is enough. "Those preoccupied with ideology would have a lot more to worry about than cooperation with the Libs (even the most ardent Cameron supporters - Jack Stone, DVA, Gareth etc couldn't deny there has already been some compromise on the ideological front under Cameron)"
That's a turn up for the books! I'm certainly not an ardent Cameron supporter (I'm more of a moderate fence-sitter these days, I'd say), and would not want to be associated with the brand of fawning sycophancy preferred by Jack Stone and Gareth Compton, but you are right to point out that I'm not consumed by ideological dogma - practical principles are more important to me and David Cameron is moving in the right direction as far as I'm concerned. Glad to see that the majority of people here are strongly against a Lib-Con coalition. Some of use dislike the preoccupation with liberal ideology in any case. We are after all the Conservatives, not the Liberal Party Mark II. There is nothing boring about leaving the EU. It would certainly wake up our political parties. It is a novel argument that the political fracturing of our society due to our loss of control of immigration, of law & order, and the combination of the two, could make the price of EU membership too high. These matters are of concern to millions of voters, whether your polls or my poll are correct. We ignore them at our electoral peril. Mark Fulford, do you have anything to say other than coming in and telling me what to say, or not say? My vision of the future is different to your vision. That's why we are writing here I presume, to share different ideas. Or are your ideas exciting and those of other people dull by definition? I'm doing my best to get excited about a coalition with the Lib Dems to please the egos that run our Party nowadays but frankly that is about a dull an idea as I've ever heard - I was trying to be polite. I have plenty more to say but, frankly, I've got better things to do than develop a bruise on my forehead. I watched you argue with True Blue and decided that there is no point engaging you in debate because you never concede even blatant errors. I tend to think .. but I've said it before, and I bet no-one's reading at this time of night anyway. Maybe that will tempt me to be more honest :-0). I do think that it's daft not to acknowledge there are a couple of areas where in our Tory coalition, it's our liberal impulse which is strongest, and that in those policy areas, there are centre-right libdems with whom we can make a common antisocialist cause. EG ID cards, civil liberties in general, decentralisation (localism = electing police chiefs and so on). There are other areas where the libdems are dominated by their infantile left wing, and so formal coalition now would be anathema. But if we really, really want to destroy them as a political force - I don't know about you, but I have antibodies to libdems - then we need to keep shouting at the normal ones about the areas we agree. They're not just going to wake up one morning and announce "doh, I was a fool to bet my political career on the libdems because the Tories looked so unelectable". If we give them a couple of occasions where they can honourably make common cause with us, then at some point some of the sensible ones WILL defect to us. The remnants will first of all fight (it's starting now, poor Ming) and they will split. Not disappear completely of course, because it's so handy having a machine with which to split the left-wing vote. I think many Libdems are offended by Conservative monoculture. Positive discrimination to women and ethnic minorities won't help. Open Primaries would have done. They could have been used as a way to involve the more sensible LD's, and there would have been more regional accents. If everyone sounds like David Cameron, that alienates people we share political ideas with. To me that should be the aim of 'modernising' in a politically correct stupid way - not modernising at all, but broadening and getting the full social spectrum represented. Mark Fulford. Re your TB prod. I alleged 50% duty. TB alleged nil. There is 5% duty but we pay the equivalent of 50% above world prices for manufactured goods as the EU threatens to impose duties if they lower prices. That way they keep prices high, which was the point I was making. Are we here to achieve an understanding, or score points? He's the one that left the field. I'm still happy to talk. Europhiles are mostly intellectual fascists and cannot accept the truth when it is thrust in their faces. In 1974 Edward Heath contacted Jeremy Thorpe with a view to forming a coalition. The only reason it did not go ahead, was because Lord Wigg let it be known that he would blow the whistle on the Norman Scott affair. Some of the people who are responding to the idea of a Con/LD pact are pretending that when it comes to it realpolitic will not take over. 1. There's a very good chance that Ming will not be leader in 3/4 years time, he's already looking very tired. 2. A new LD leader will probably not feel as constrained as the present leader. 3. Cameron, will see his chance to be PM, the reason he will enter a coalition, "It is my patriotic duty, at this time of great uncertainty to provide the nation with a government etc," last refuge of scoundrels and all that. That poor dog! She died and we ended up with a Labour government. Given current policy review groups focus on not scaring any horses in the belief that we must attract the votes of those who currently vote for Labour or Lib-Dems, as opposed to the legitimate alternative - or coincidental - strategy of seeking support from people who just don't vote any more, it is unfortunate that the "radical - liberal" ideas espoused in the Orange Book are likely to remain untouched by any party at the next election. As Graeme knows from success in Queensbridge, getting people who used to vote for us, or who have never voted for anybody, to back the Conservative cause, is an uphill struggle, but potentially, particularly in urban areas, is a richer seam to mine than the one which seeks to win over those who have actively voted against us in the quite recent past. If the battle ground is to be over who is the most committed to localism, I'd like the Conservative Party to be the one going for the most "local" solution of all. Namely, the direct relationship between an indivdual and the provider of a service. Almost certainly that requires those individuals to be supported by state funding and I would like to see that done through a universal education voucher and a social insurance based healthcare scheme. We don't need to shout about the how though, we just need to say we want to transfer as much support as possible from the providers to the users of services. That way we set ouselves up as being on the side of the user against the "machine". We become the "anti-government" party. It's not a bad line either. "If you don't trust politicians, vote for the politicians who want to have less power over your life". Mark Fulford. Re your TB prod. I alleged 50% duty. TB alleged nil. There is 5% duty but we pay the equivalent of 50% above world prices for manufactured goods as the EU threatens to impose duties if they lower prices. You alleged 50%. TB proved it was nil, as is plainly visible through the tariff database. It is nil because, on 1/1/2000 the EU signed up to the Information Technology Agreement which puts no tariff on computer equipment or software. Instead of conceding a wildly wrong figure you have changed your argument to duty being 5% (still wrong) but maintain that 50% is the effective rate as a result of EU threats. To support this assertion you quote Minford, a professor at Cardiff University. Page 6 of Minford’s hypothesis takes cost data originally compiled for Dixons in 1999 and, where Haskell and Wolf writing for World Economics conclude that “The real international price puzzle deserving investigation is thus why US prices are so low”, Minford assuredly titles the data “ “Table 1.1: Effects of EU manufacturing trade barriers on prices “. Note that this data is seven years old and predates the Information Technology Agreement. Minford’s case is that the EU uses threats to get suppliers to charge higher prices on sales to the EU. This is, frankly, ridiculous. How would the EU insert itself in a deal between you and a Taiwanese component manufacturer? Or did the EU knock on Mr Chang’s door and tell him to charge you a higher price, or else? Since there’s no duty between countries (only alleged EU threats), even if Minford were right you could avoid the threat simply by routing your purchase through a USA intermediary, or does the USA also roll over to the EU? Europhiles are mostly intellectual fascists and cannot accept the truth when it is thrust in their faces. On the one hand you say that we’re here to debate as adults, then you go and call your fellow debaters “intellectual fascists”. If anybody hasn’t accepted the truth when it’s thrust in their face, I’d say that’s you. True Blue’s main point seemed to be that, if withdrawal from the EU is a button issue for you, you’re going to be disappointed; that the Conservative Party is not going to change its policy on this. I agree with him on this but I, and I suspect he, can not be described as “Europhiles” just because we are arguing against withdrawal. I realize that, were you to accept this argument, you would be accepting that it is pointless to bang on about European withdrawal any more. Well done for trying to present the eurosceptic case - but there are some to whom there seems only a bi-polar view, either you are for EU withdrawal or you are a rabid euro-fanatic. I believe that most in our party see that there are benefits and costs in membership and support our party line which is (as I understand it) for continued membership but looking for repatriation of certain parts of aquis communitaire, for improved free trade (particularly in services) and move away from federalism towards a less structured and flexible organisation.